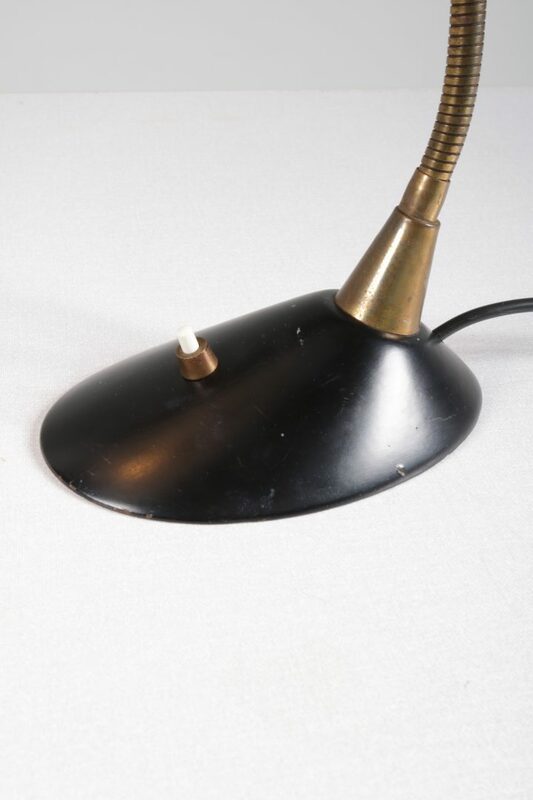 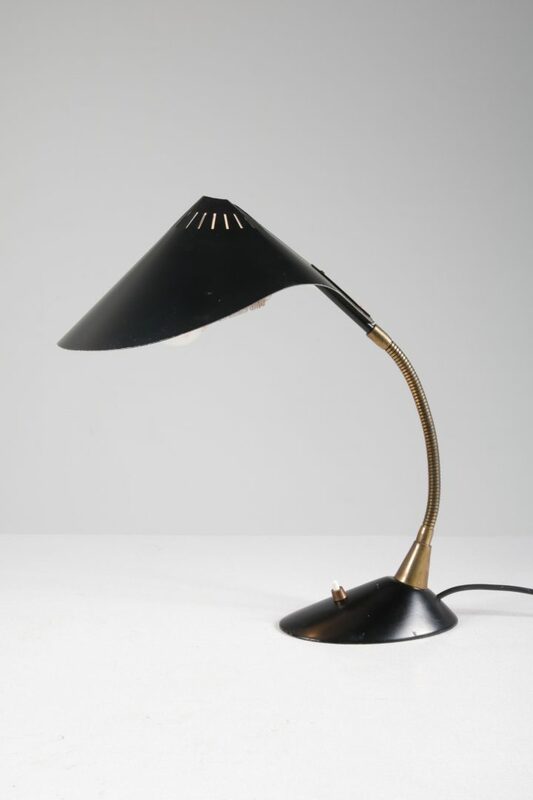 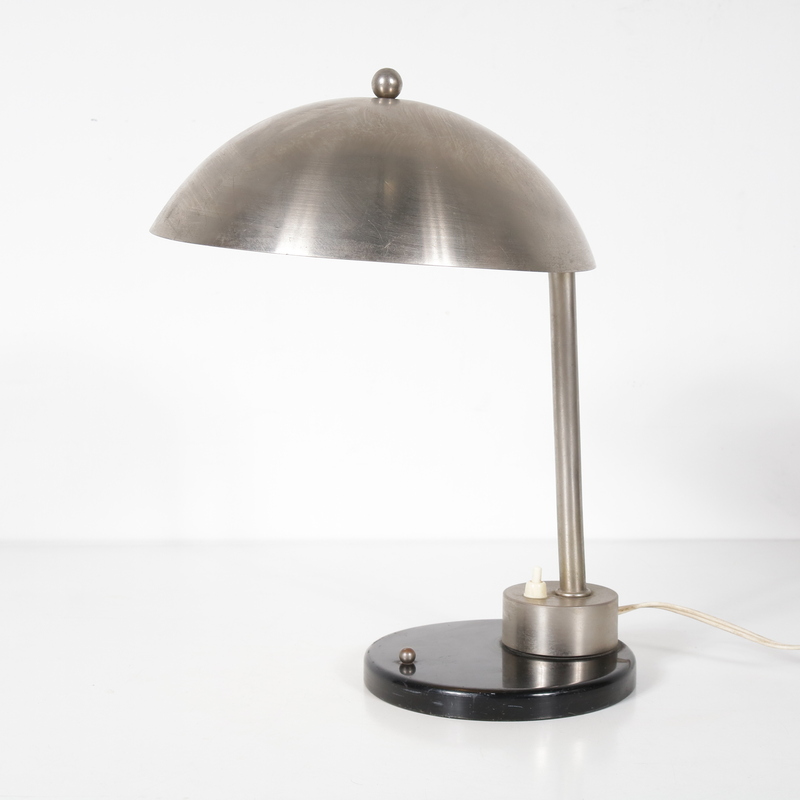 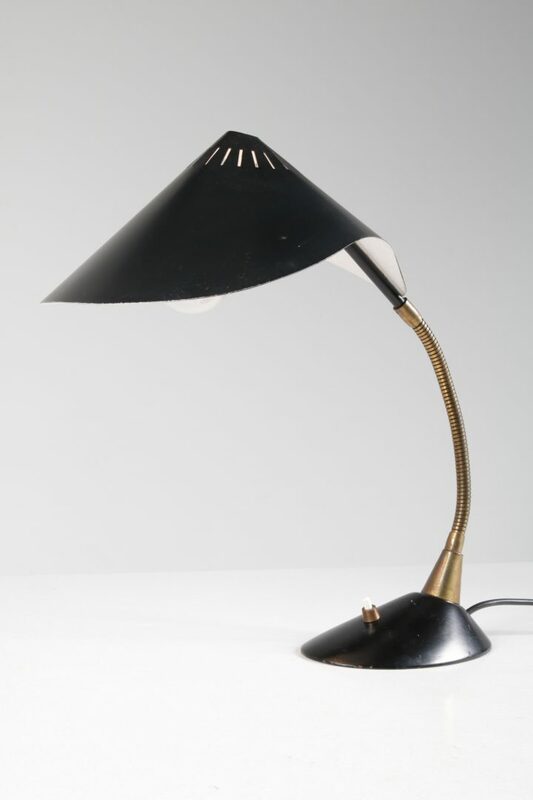 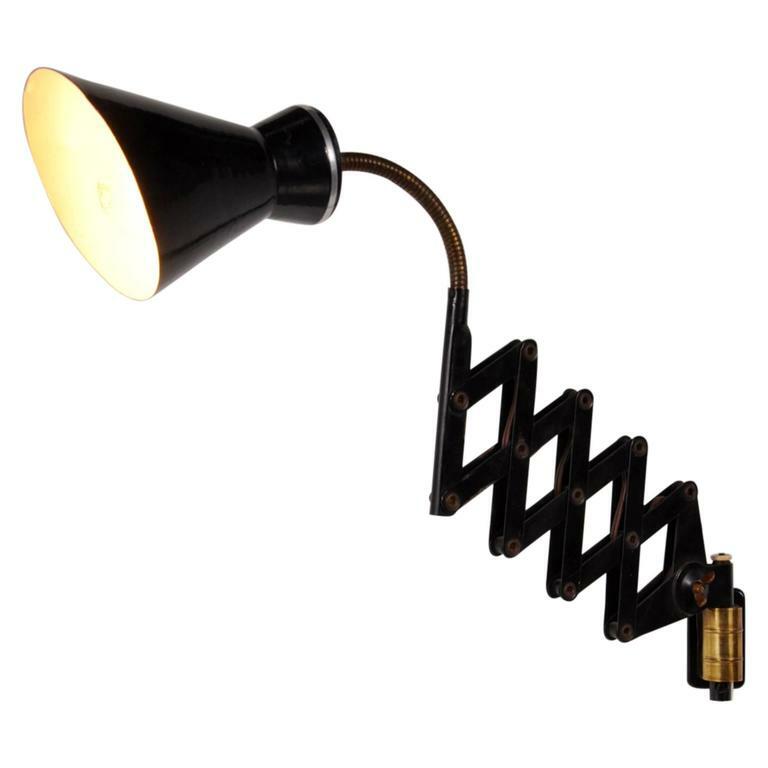 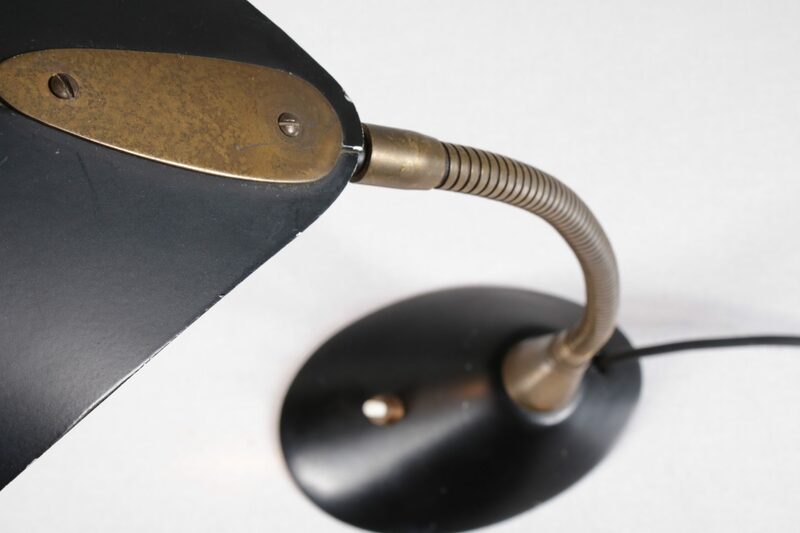 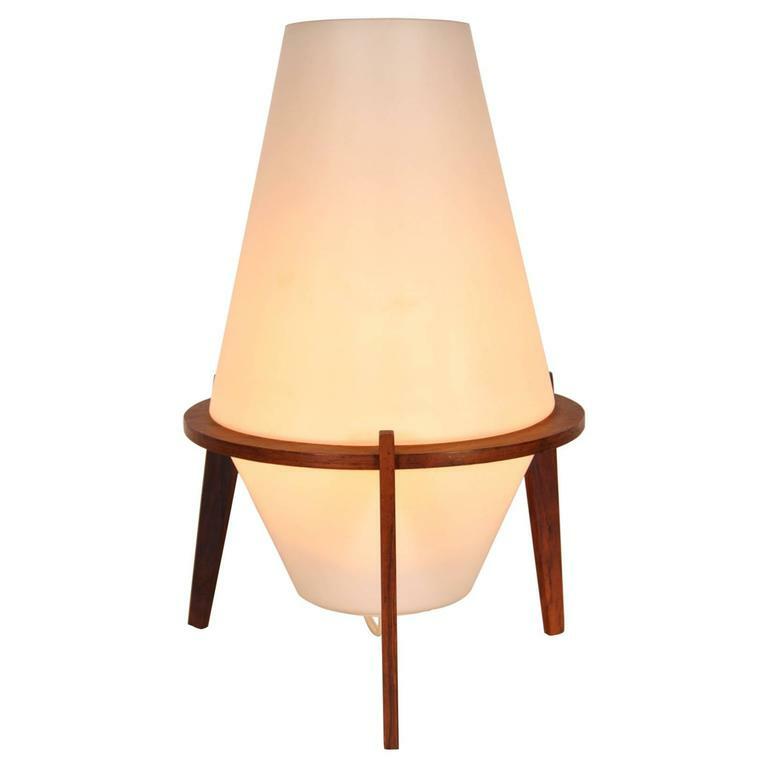 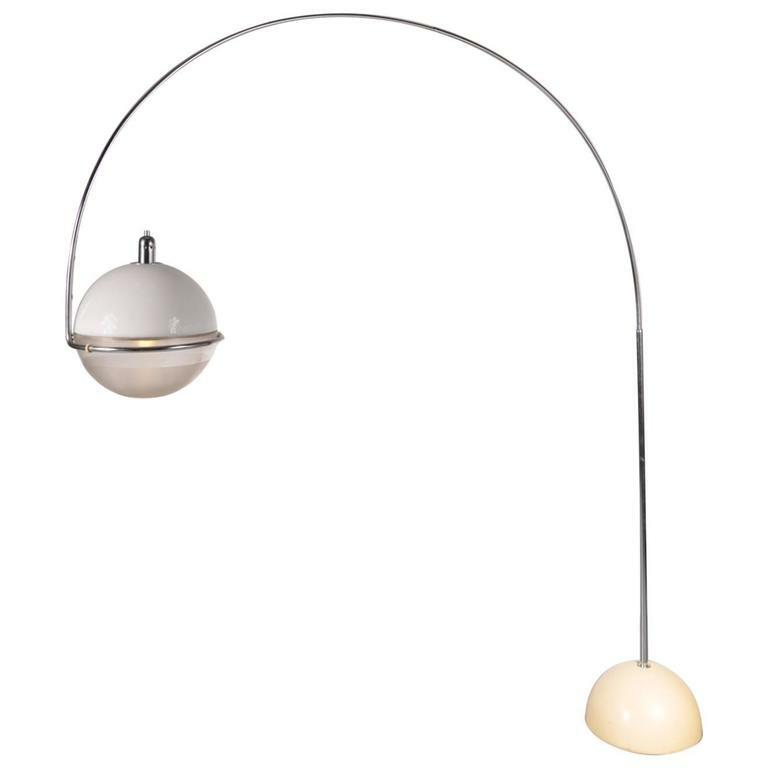 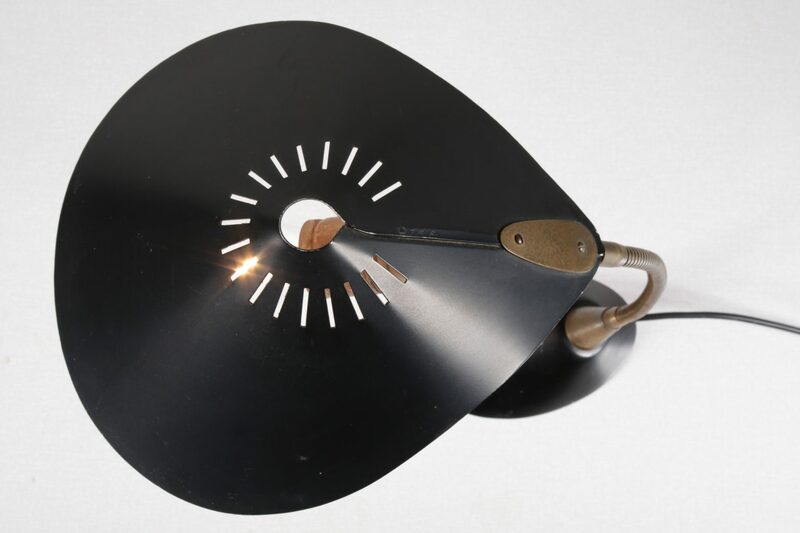 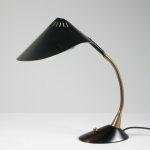 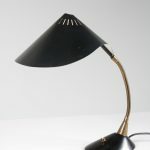 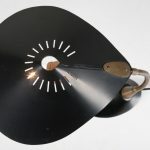 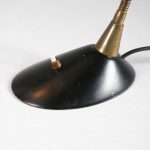 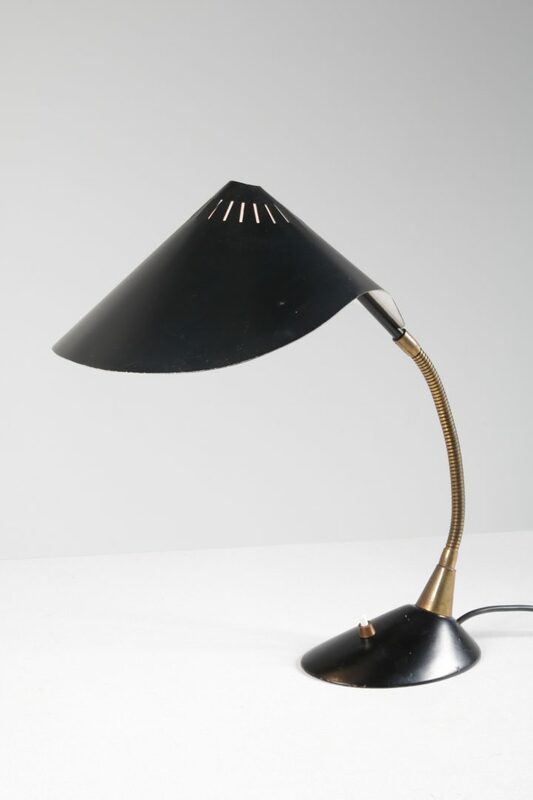 A very elegant desk lamp by Dutch manufacturer Philips. 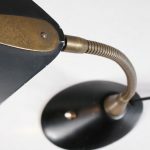 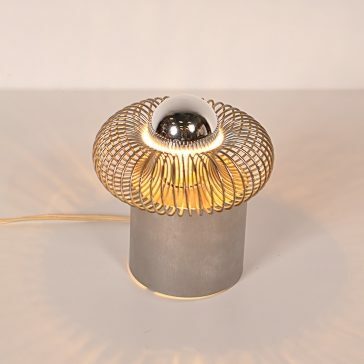 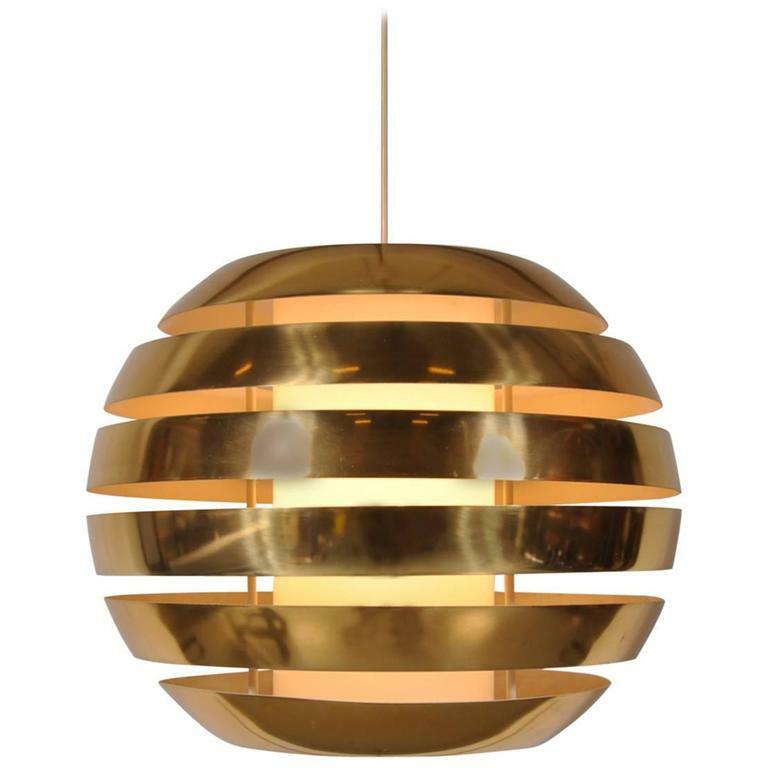 This highly appealing piece is made of brass with black lacquered metal, a combination of materials that beautifuly adds to the luxurious style of the piece. 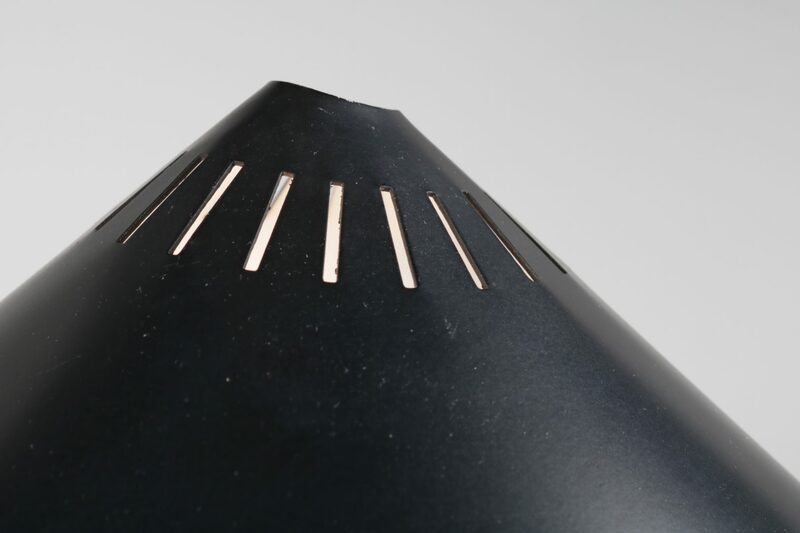 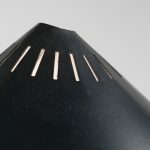 The hood has a nice, curvy shape and some small perforations in the top that allow some additional light to go through. 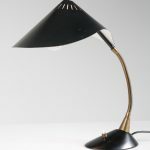 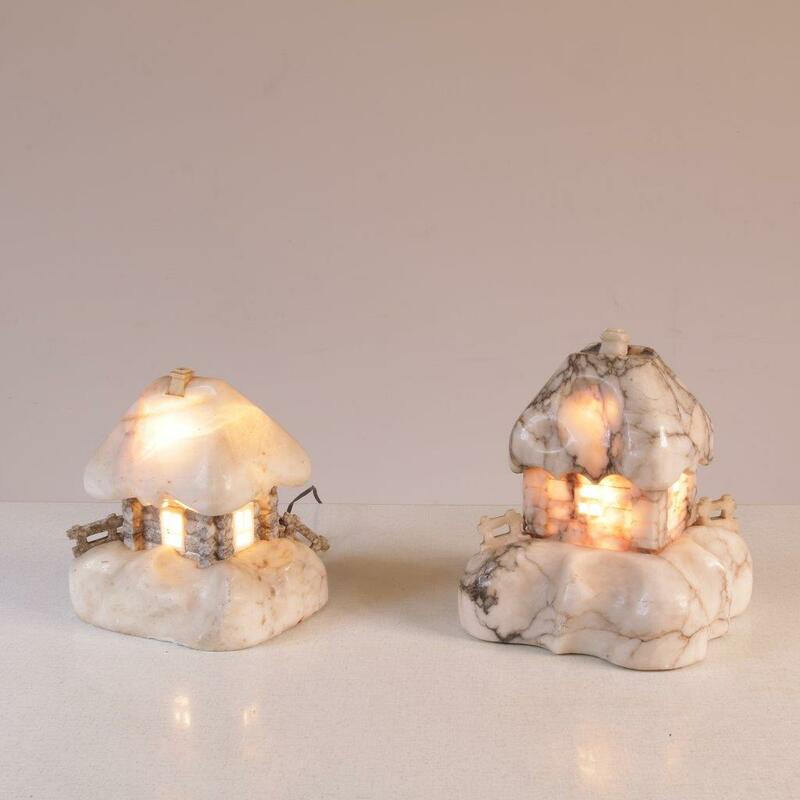 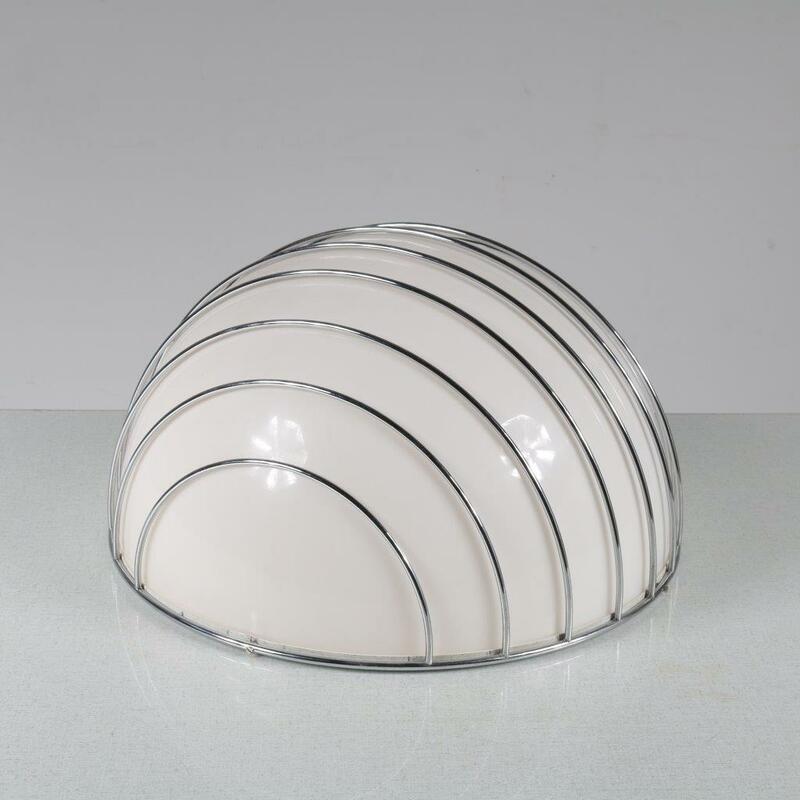 It emits a bright light that can lit just the right area on your desk, making it a perfect addition to any office space!